“For this I was born and for this I came into the world, to testify to the truth. Everyone who belongs to the truth listens to my voice” (Jn 18:37-38). Repeating the words of Pontius Pilate as he reacts to Jesus’ compelling witness, too many of our contemporaries ask: “What is truth?” As current events and people challenge our innermost beliefs, we feel compelled to search for answers about our human existence and the ultimate meaning of it all – the truth. As God wove our being in our mother’s womb, He planted that primal desire for truth in us which is designed to unfold and bloom as He reveals himself to humanity from the beginning up to the present day. He did this with one transcendental purpose: to gather in love all of us, his children, to himself – to unite us in Truth and in communion with Truth itself. As God incarnate confronts a skeptical Pontius Pilate in his decisive hour, He also strongly convicts us today. He became one of us (except for sin) in Jesus Christ, who lovingly bore witness to the truth in his life, death, resurrection and ascension into Heaven. All of this was done by Him for our sake and in order to provide the answer to all the questions we grapple with in our present day, leading us to His Kingdom. Thus we read in John’s Gospel how Jesus, knowing turbulent times were coming for his disciples because of his impending Passion, says: “Do not let your hearts be troubled. You have faith in God; have faith also in me” (Jn 14:1). And shortly after He reveals himself as the Truth responding to Thomas: “I am the Way, the Truth and the Life” (Jn 14:6). The Pope is clear and gives us the good news: the solution to all the challenges we face is Jesus Christ, only Him! And the good news is that He is near us, revealing himself daily, persistently, without ceasing. He is God, and He shows us the Father, and leads us to Him, and gives us his Spirit. He does this each and every day, here and now, “revealing the thoughts of many” (Lk 2:35). He gave up his life on the Cross, and in so doing He revealed to us the Truth — the truth of who God is, who we are, what is evil, and most of all, how to deal with evil and chaos — with love, truth and goodness. In His revelation, Jesus Christ is the sign of the times and the sign of contradiction across the ages. 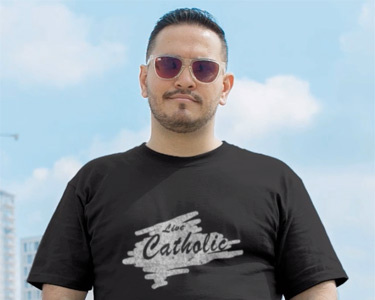 As Christian Catholics, so are we. Behold, he is set for the fall and the rising of many in Israel, and as a sign of contradiction; and for your part a sword will pierce your soul, so that the thoughts of many hearts may be laid bare” (Lk 2:34-35). [iii] Pope John Paul II, Catechesis, General Audience, Wednesday May 4, 1988. [iv] Karol Wojtyla, Sign of Contradiction, New York, NY: Seabury Press, 1979, p. 7. [viii] Karol Wojtyla, Sign of Contradiction, New York, NY: Seabury Press, 1979, p. 8. 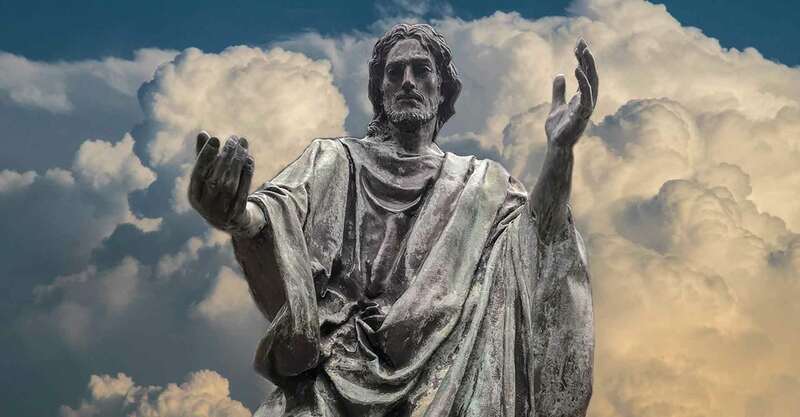 Photo Credit: Statue of Jesus Christ by sculptor Lorenzo Ghiglieri (Semfield Memorial Study Garden, Main Campus of St. Thomas University, Houston, TX). Photo by Claudia Aracama. Virginia Fraguio is a Secular Discalced Carmelite pursuing her Master of Arts in Theological Studies at the University of St. Thomas at St. Mary’s Seminary in Houston, Texas. She is passionate about the truth, spreading the Catholic faith and spirituality, going on pilgrimages, and the international dimension of the Universal (Catholic) Church. Virginia was born in Argentina and grew up in Japan. After living in Brazil for some years, she was brought to the United States by her U.S. employer twelve years ago. Filed Under: Catholic Life Tagged With: God, Jesus Christ, What is Truth?